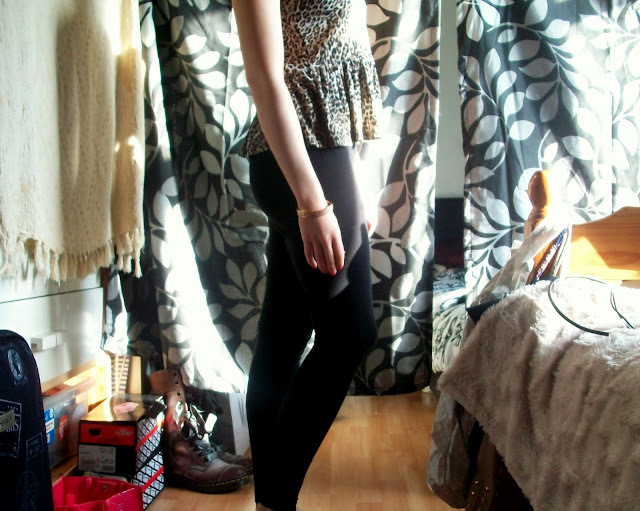 I wanted an outfit that was quite simple for a relaxed day, so I just wore my everyday staple-piece leggings with one of my favourite leopard print peplum tops. As I've said before, I love peplum tops, and I got this one as a Christmas present from one of my friends! 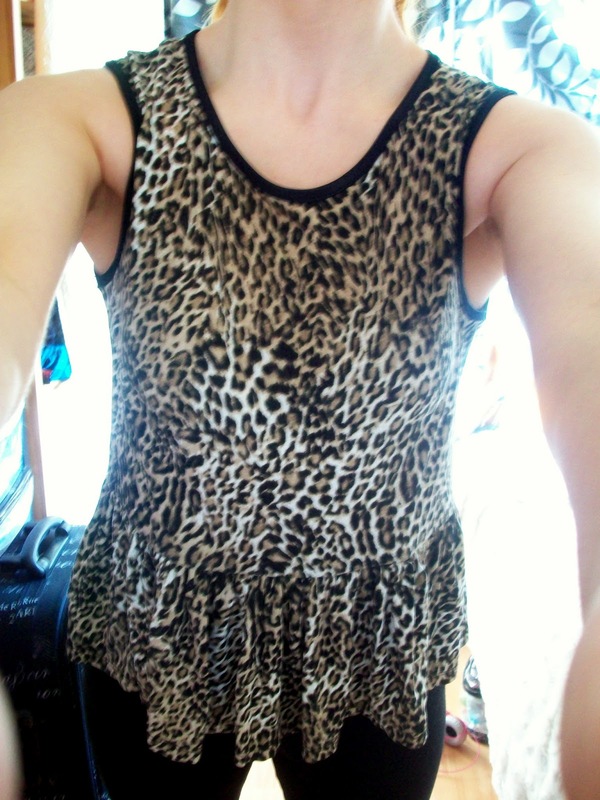 (She knows me all too well, and my love for leopard print, too). 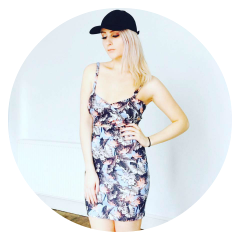 It also has this really cute hole detailing at the back - and in general, it's an ideal top for this 'spring, not quite yet summer' weather we're having! For my accessories, I didn't want to go overboard, so just kept it minimal with this lovely bracelet (also a Christmas present from the same friend)! 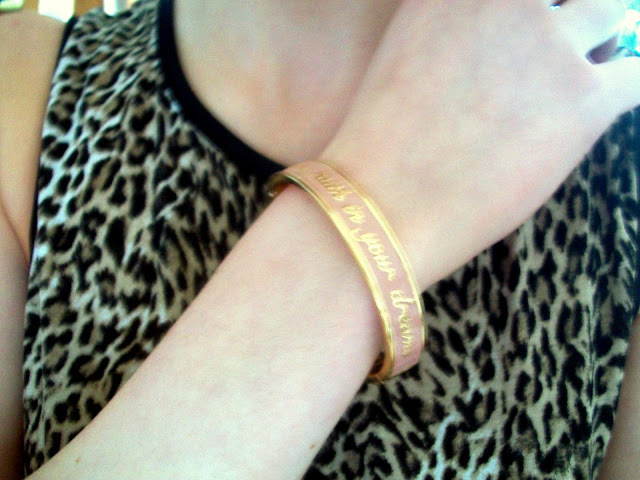 I'd had my eye on this beauty for ages, it's from Disney Couture, and says 'Have faith in your dreams'. 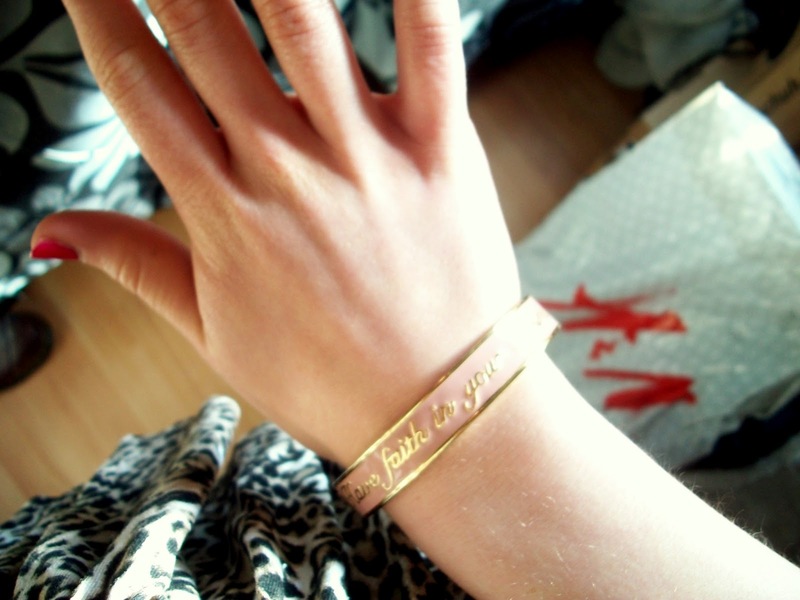 I love the message as it's a nice little reminder to have on your wrist, and the pink and gold makes it even prettier! I don't really know why I pulled this expression here, haha! But, since my outfit was quite simple, I decided to have my make-up a bit more dramatic. I made my eyebrows a little fuller (using my eyebrow routine), drew a wing-eye for my eyeliner using Soap&Glory's Supercat, and used shades from the Naked 2 Eye Palette as my eyeshadow. Oh, and a little blush on my cheekbones to brighten my pale complexion! What do you like to wear on the weekends? Do you dress up or keep it cosy and casual? 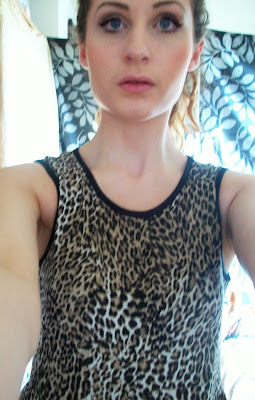 Love that simple outfit, the leopard top is so cute on you Emily, your friend did a great gift. Leopard is my all time favorite. simple out outfit but such a chic looking. Love it with your pretty make up too. Have a great day lovely! (oh Mint Polka dots Dress) just posted on my blog! :) PS, glad you've had a fun weekend! Aww thank you lovely! :-D Leopard print is one of my favourites too - it's one of those trends that just won't die for me! Haha! The top is amazing and looks so good on you! Thank you so much gorgeous, and thanks for commenting!